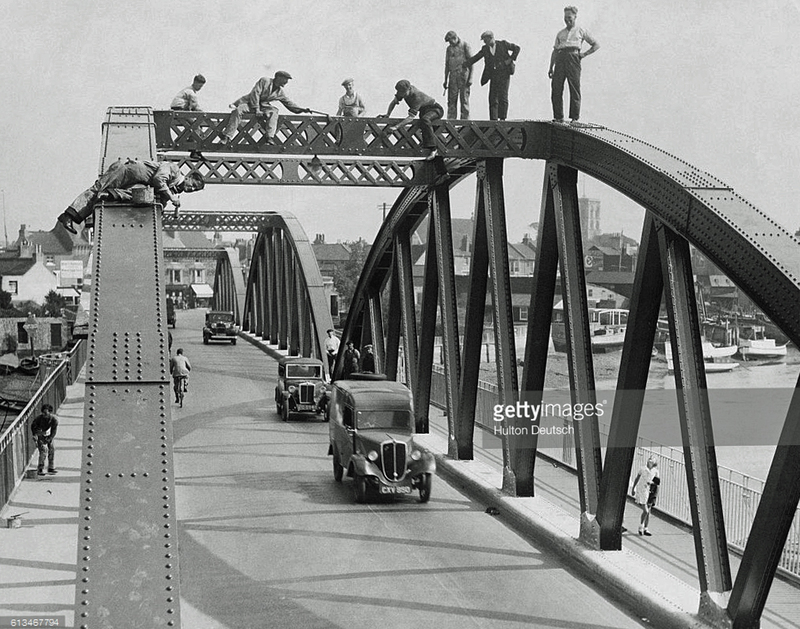 This Getty image from the Hulton collection shows a 1932 Minor Saloon crossing the River Adur at Shoreham via a steel girder bridge which carried the A259. It was first erected in 1922 and replaced by the current concrete bridge in 1987. 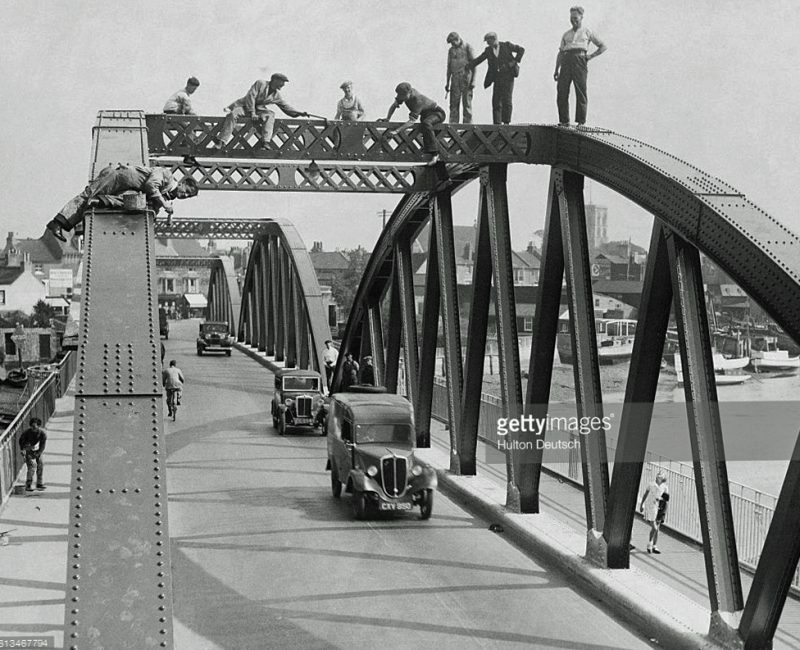 The photograph above shows a gang of 12 painters plying their trade on a structure that remained open to traffic, with no warning signs in place and the only visible protection on view being their dungarees – these being worn to protect their clothing! A far cry from today’s safety standards.